Ah, the fresh air, the solitude, the relative quiet of early morning. If you are a morning person, there is nothing like getting a jump-start on the day by revving up your body's engine. But if you're a night-owl, the idea of getting up before the crack of dawn and lacing up your running shoes may sound like sheer insanity. Yet some fitness experts insist that an early-morning workout will boost your metabolism and help you burn more calories. Metabolism is the sum total of energy your body expends each day. You burn less fuel at rest, and more energy when you are active. The more active you are during the day, the higher your metabolism. You body composition plays a role in your metabolism as well. 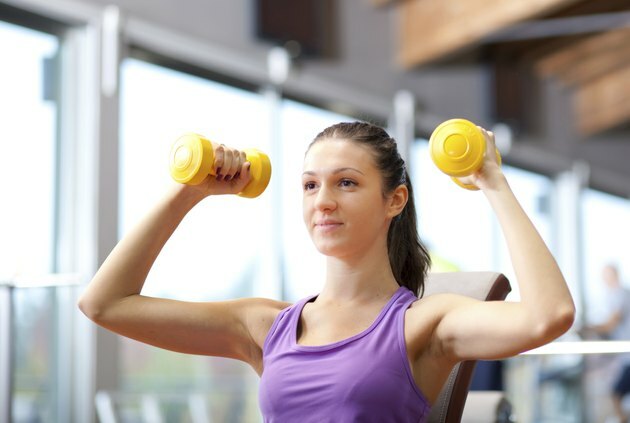 Lean muscle mass expends more energy, even when your muscles are at rest, than fat. Increase your percentage of lean muscle mass, and you'll boost your metabolism. Exercising at any time of day will speed up your metabolism, and it will stay elevated for a while after you stop exercising. A morning workout may help you burn a few more calories early on, but your morning metabolic boost will gradually fade. On the other hand, a regular resistance training program performed at a time of day that best suits you will maximize lean body mass, increasing your metabolism so you burn more calories all day long. Each individual has her own biological rhythms, known as circadian rhythms, that dictate energy levels throughout the day. Circadian rhythms are governed by hormones and are genetically determined. They explain why your energy dips in the middle of the day and why it's hard for some people to get to sleep before midnight. In a study presented at the 2004 assembly of the American College of Chest Physicians, scientists found that, for many individuals, lung and muscle function are at their peak in the late afternoon. The study suggested that exercise may be most beneficial at that time of day, rather than morning. If you want to boost your morning metabolism, try eating breakfast. A breakfast of complex carbohydrates such as fruit or whole grains will rev things up as your digestive system works to break food down. Eating at regular intervals throughout the day will maintain the elevated levels. Skipping meals, on the other hand, will cause the metabolism to drop to conserve blood sugar. One advantage to working out in the morning is that it puts your fitness program on the front burner, and beginning your day with a focus on fitness may help you make better food and activity choices throughout the day. But if you are not a morning person and getting up early means losing sleep, the idea of a morning metabolic boost may backfire. Sleep deprivation will upset your body chemistry and slow your metabolism. The bottom line is: the best time of day to work out is the time that works best for you. The Times: What's the Best Time of Day to Exercise? Lisa Balbach: What is Metabolism and Why is it Important?